Actually, I dread every new newsletter that I have to go through and edit, simply because it will be then at the latest that I have to read about all the gunk the least civilized bipedal population on Earth has been up to for the past four weeks. It is no different this time. Read the News section to see what I mean. One good thing from this doomed continent is scientific research that has now irrefutably confirmed the separate taxonomic statuses of Red and Mexican Gray Wolves. 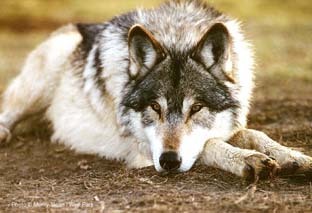 Anti-wolf lobbyists now may find it more difficult to just bang away at them, at least in the eyes of the law, I hope. I would to draw your attention to the excerpt of Husky Romi’s last newsletter that we have reprinted here. Neighbours that threaten somebody with shooting at a neighbour because they don’t want him walking his leashed canine in the street? What is that? I was really shocked to read it. And – if you happen to live in The Netherlands or nearby: There is something for you! A wolf tale and Erin’s latest update round off the newsletter for this month. We are so glad to see the back end of March. This has been a terrible month for us, the freezer packed up and the repairs were just way out of our price range. We ended up installing a new compressor and refrigeration unit that doesn’t come from Germany with German price tags on everything. R56 000.00 later and we are up and running. Kim raised a sizable amount of money in Europe and other smaller much appreciated donations. We are still R21 000.00 short, but we needed the freezer for all our chicken. On a positive note, we still have Frans Badenhorst around and he will be helping me with the newsletter, thank you from the bottom of my heart. Well, I am still around. We had no takers for the distribution of the newsletter and the upkeep of the mailing list, so for now I will attempt to do it to the best of my ability. Somebody did offer to do the final proof read, but that alone will unfortunately not solve our problem. After an altercation with somebody this morning, while I was taking Titus out for his regular walk, where I was threatened that both my dog and myself will be shot, I realized what exactly my biggest problem in my life is. It is other people. This is probably also the reason why I have difficulty in keeping up with my duties with the newsletter because I just cannot keep up any longer with the arrogance, negativity and ignorance being flung at me from people who are supposed to be on the same side. Those of you that know me will know that I in general mind my own business as far as that it is possible. I have almost no friends and no social life at all. I spend my time at home when I am not working. I only leave the sanctuary of my home to go to work, drop Lindi off at school, walk the animals, or quickly go to the supermarket to get supplies, avoiding interaction even with people I know as much as possible. My support structure consists solely of my wife and my daughter. So, yes, I am becoming more and more of a recluse by the day. I know it and I am quite content with it. Enough of my rant, but please, can somebody finding it easier to deal with people in general take over from me, even if it is just for a while to give me a break? Ps – After I have written the above “ranting”, I obtained some legal advice regarding the issues I am having more and more while out on the streets walking my dogs. Even though it is my right to do what I do in the way I do it, I was advised to rather stop walking the animals in the area where the residents refuse to keep their dogs off the streets while unleashed. 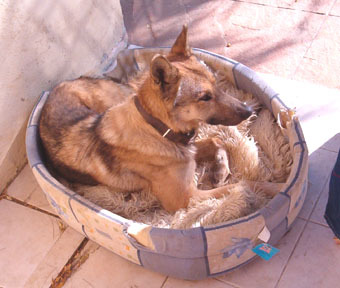 I was informed to rather keep my animals safe than wait for somebody (or some other dog) to harm them or me. It is sad because my almost daily walks have been an important part of my life as well as the life of my furry friends for quite a number of years, but I must agree that it is probably better to play it safe. To add on to this – I mentioned to Cathy this morning that it is a week now since I stopped taking the animals out for a walk and it does not seem if they are worried about it at all. 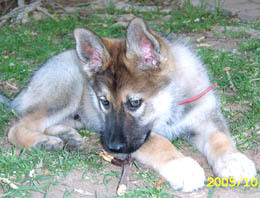 The time that we would have taken to walk, I now play with them on the lawn in the back yard. The way they can run and tumble makes me think that the exercise they get is just as good as what they could get from a three km walk. Maybe I am chatting myself in, but it seems positive thus far although I am still extremely upset about the whole situation. 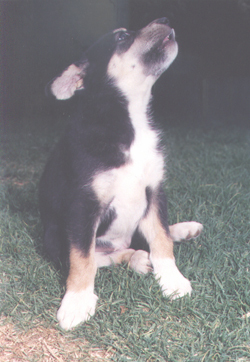 Waiting for Karma ………. I have been volunteering at the sanctuary since last year May I was with Larry and all the animals from mid May to end September, give or take a week or two in between. 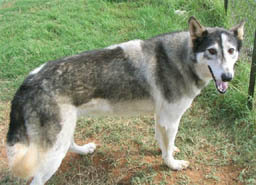 I have always wanted to work with and help animals and HuskyRomi has become the place where I know I want to stay for the long haul The sanctuary to me is a place of lost and found – I lost a piece of my heart there, and I found a piece that was missing – the immense beauty of the Free State and the unconditional love and connections with the animals brought a feeling of coming home. With this I decided to help where I could, including when I am in Holland where I live. Conny, a dear friend of mine who also does a lot for animal welfare gave me so many ideas, and after many phone calls and brainstorming sessions we came up with our first Dutch event. So, we kick off with Walk for Wolves! Walk for Wolves is an event where people can sign up to participate in a 10km walk, a workshop, something to eat and drink, and a small present as a memory of their participation, all for €20,00. The place we have chosen for this year (I plan to turn this into a recurring event with different locations) is in the stunning area of the Noordhollands Duinreservaat. Stretching over 5.300 hectares, the reservation is one of the biggest natural areas in Holland, the dunes are important for their function as natural seawalls, an area of natural recreation, and water extraction! It is criss-crossed with a network of well-maintained trails and grazing areas for the various animals that the reservation is well known for I hope Walk for Wolves will be a success and that it is the start of many more amazing events and experiences, helping realize part of Larry’s dream – creating the start of HuskyRomi Holland and in doing so taking steps towards making Romi the most famous Husky in the world. I’m no expert when it comes to medication, Frans is a medical doctor so I can only talk from personal experience. We started using cannabis oil at the sanctuary and we have seen a lot of good since we have started using it, my only concern is the amount of THC that is still in some of the cannabis oil that we have used. My recommendation is that when buying cannabis oil is that you use someone with a very good reputation and not just anyone who sells it, remember this is your animals’ life, it may cost a little more but these people have done a lot of research and only use the right plant for the job, a lot of other people are just using cannabis to make oil and don’t care about the THC content in the oil. USA: Seven wolves killed in Idaho! Heart breaking news from Idaho. We just learned that seven wolves were killed in the remote northern Lolo region of the state. The killings are intended to boost elk numbers so that hunters will have more elk to shoot. This is just another example of the deadly risks to wolves when they lose federal Endangered Species Act protection. The Interior Department is moving forward with a plan to strip Grey wolves of all protection under the Endangered Species Act (ESA). Last week, the U.S. Fish and Wildlife Service (USFWS) formally announced (https://nywolf.us8.list-manage.com/track/click?u=96aae4d71726eb91ae4d20fec&id=9c1a2b2c3c&e=c4f881378d) its plan to remove federal Endangered Species Act protections for gray wolves in the lower 48 states – a plan that would allow trophy hunting to immediately resume in four states and put the future of the gray wolf and its proven benefits to ecosystems at serious risk. Is the Red wolf a distinct species or, as critics in North Carolina have long contended, a hybrid unworthy of Endangered Species Act protection? 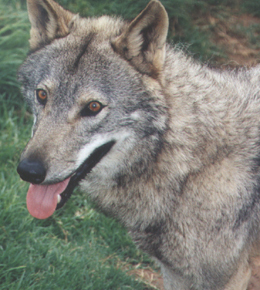 What about the Mexican Grey wolf – is the Lobo a “real” subspecies? 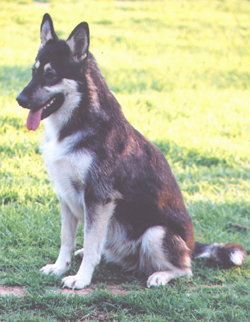 Is the Mexican Grey wolf a taxonomically valid subspecies? 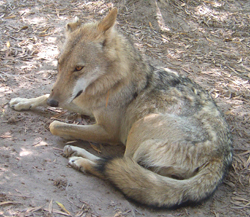 In its new report released today, Evaluating the Taxonomic Status of the Mexican Gray Wolf and the Red Wolf, NAS confirms that both Red wolves and Mexican Grey wolves are indeed valid taxa. 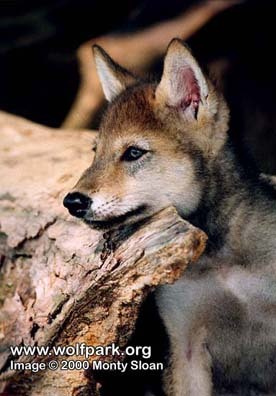 The Red wolf and Mexican Grey wolf are among the most endangered mammals in North America. Both species at one time were extinct in the wild. At last count, an estimated 114 wild Mexican Grey wolves remain in the U.S. Only 24 wild Red wolves are known to remain. www.azgfd.gov/wolf or by visiting the U.S. Fish and Wildlife Service website at www.fws.gov/southwest/es/mexicanwolf. For information on the FAIR call (928) 338-4385 ext. 226 or visit www.wmatoutdoors.org. In February, the IFT documented AM1338 travelling with F1679 of the Tu dil hil Pack in the eastern portion of the FAIR. In February, the IFT continued to document M1477 travelling with an uncollared wolf in their usual territory in the east central portion of the Apache-Sitgreaves National Forest (ASNF). In February, the Elk Horn Pack was located within their traditional territory in the north-eastern portion of the ASNF. 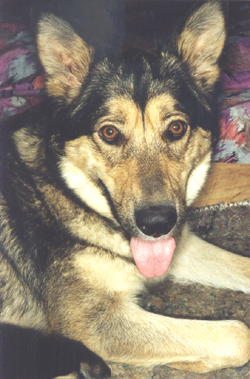 In February, the Hoodoo Pack was located within their traditional territory in the north-eastern portion of the ASNF. During the annual helicopter count and capture, f1830 was captured, collared, and released. In February, the IFT documented F1489 travelling with M1829 in the north and east central portion of the ASNF. During the annual helicopter count and capture, M1829 was captured, collared and released. If this pair continues to travel together in March a new pack name will be determined before the March update is posted. 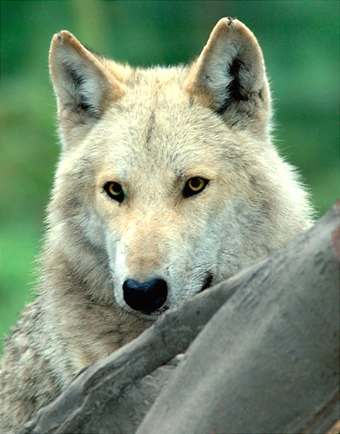 In February, the Pine Spring Pack was located within their territory in the north central portion of the ASNF. The IFT continued to maintain a diversionary food cache for this pack to reduce potential for wolf-livestock conflict. 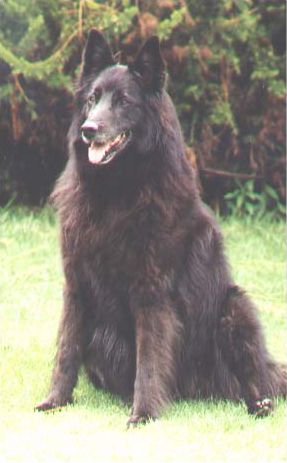 AF1562 died in AZ after being captured by the IFT to replace a non-functioning GPS collar during the annual helicopter count and capture. 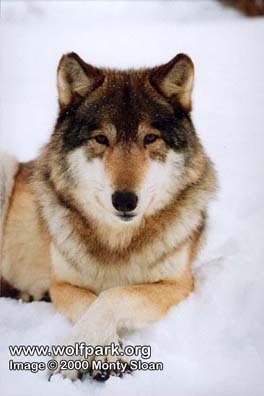 In February, the Saffel Pack was located within their territory in the north-eastern portion of the ASNF. During the annual helicopter count and capture fp1833 was captured, collared and released. In February, the Sierra Blanca Pack was located in their territory in the north-eastern portion of the ASNF. In February, f1683, a yearling from Bear Wallow Pack, was documented travelling with AM1382 of the Panther Creek Pack in the east central portion of the ASNF and occasionally on the FAIR. In February, the IFT documented M1574 travelling with an uncollared wolf in the east central portion of the ASNF and the SCAR. In February, Hoodoo m1677 was documented making wide dispersal movements in New Mexico and the central portion of the ASNF. 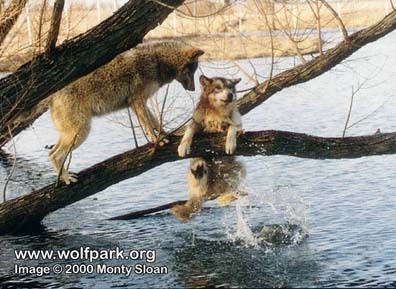 In February, the Baldy Pack was documented travelling in the eastern portion of the FAIR and the north central portion of the ASNF. In February, F1679 of the Tu dil hil Pack was documented travelling in the eastern portion of the FAIR. F1679 was occasionally documented on the SCAR. During the annual count and capture, F1679 and Bear Wallow AM1338 were documented travelling together. In February, M1824 was documented travelling with San Mateo f1578 in the north-western portion of the Gila National Forest in New Mexico. During February, the Dark Canyon Pack was documented travelling together within their traditional territory, in the west central portion of the Gila National Forest (GNF). During the annual helicopter count and capture operation, mp1717 was captured, collared and released. In May 2018, mp1717 was cross-fostered by the IFT from the wild Lava Pack litter into the Dark Canyon Pack litter to reduce litter size and increase the chance of survival of two genetically valuable pups from captivity fostered into the Lava Pack. During February, the Datil Mountain Pack travelled within their traditional territory in the western portion of the Cibola National Forest (CNF), as well as portions of the ASNF in Arizona. During February, the Lava Pack was located within their traditional territory in the south-eastern portion of the GNF. During the annual helicopter count and capture, mp1715 was captured, collared, and released. During February, the Luna Pack remained in their traditional territory in the north central portion of the GNF. Also during February, a private trapper captured mp1831. The IFT was notified and processed, collared and released the animal on site. During February, the Mangas Pack was located within their territory in the north-western portion of the GNF. During the annual helicopter count and capture operation, m1832 was captured, collared and released. The IFT established a diversionary food cache for the Mangas Pack to reduce potential conflict with livestock in February. During February, AF1553 was confirmed travelling in the traditional territory of the SBP pack in the north central portion of the GNF. During February F1684 was located travelling in the north central portion of the GNF. 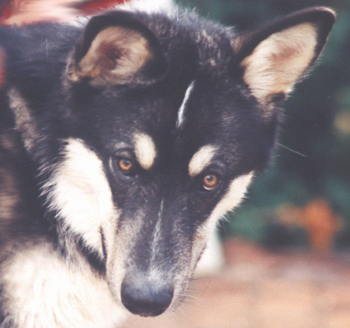 During the month of February, AF1562 of the Pine Spring Pack died in AZ after being captured by the IFT to replace a non-functioning GPS collar during the annual helicopter count and capture. 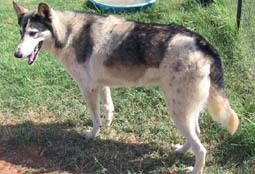 M1678 of the Prieto Pack was located dead in New Mexico. Single M1673 was located dead in New Mexico. All of the incidents are under investigation. On February 13, Wildlife Services investigated two dead cows in Catron County, NM. The investigation determined that one cow was a confirmed wolf depredation; the determination on the second cow is still pending. This is an amazing offer that cannot be missed! Imagine the entire camp to yourself and 10 friends/family for only R7000 / $500 a night. This is a special fundraiser to help support our Counter Poaching Units on the ground, because without them, our wildlife and especially our rhinos are under constant threat. 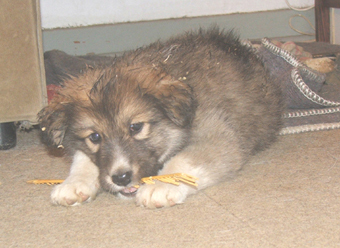 You will meet the animals that you are helping and see what SanWild is all about. Please help us, help and safeguard all the animals at SanWild. Email us now to book one of 5 vouchers available. We will offer 5 of these vouchers every month to support our rangers in the field. Dont miss out! Vouchers can be bought now and used at a later stage. Vouchers are valid for 12 months and are subject to availability. I’d say well done. Poachers killed 769 rhinos in South Africa in 2018, according to the country’s environmental affairs ministry. The victim’s family say they were informed of his death by fellow members of a poaching gang that entered Kruger National Park in northeastern South Africa on Tuesday, South African National Parks said in a release (https://www.sanparks.org/about/news/default.php?id=57777). South Africa is believed to have around 80 per cent of the world’s rhino population of over 20,000, making it an epicenter of the global poaching crisis. 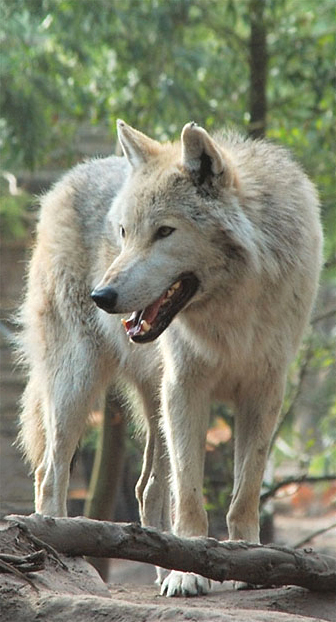 What do South Tyroleans think about the return of the Wolf? In an Online research, run by Eurac Research, 1818 South Tyroleans [Switzerland] were asked about their thoughts on the return of the wolf and 70% of them said that they wanted to know more about the wolf, his behavior, and his appearance in their country. 43% of the people asked said that they have no idea how many wolves are presently living in their area. The majority of the interviewees prefer preventive protection measures like fences, livestock guard dogs or shepherds to shooting the animals. 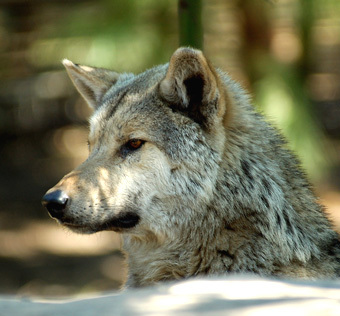 For the first time the researchers of Eurac Research have questioned the South Tyrolean public and tourists in their study about what they, apart from media reports, really think about the wolf. Although the study does not claim to be representative it shows tendencies that were so far not being considered in the discussion about the return of the Wolf. 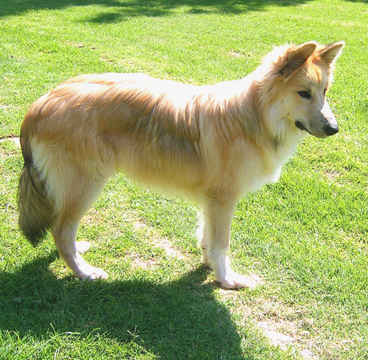 The majority of the questioned South Tyroleans accept the wolf in their living area and are not scared of sharing it with wolves. The researchers also interviewed 46 livestock farmers, hunters and representatives of the tourist sector from all districts of South Tyrol. In contrast to the sympathetic public their answers were different: being directly emotionally and economically affected by losses of livestock they displayed a negative attitude towards the wolf. Nevertheless half of them would make use of preventive protection measures if these were effective. But it is exactly the effectiveness of common solutions, such as protective fencing, which is doubted by livestock farmers. During the personal interviews another point was made that must be considered. Livestock farmers are under the impression that they don’t get enough support and appreciation for the daily challenges they have to deal with from politicians and the broad public, especially the city people. But they feel that they keep traditions alive, which are the basis of tourism in South Tyrol. Damages caused by the wolf and suggestions for what they see as little-tested counter-measures are the final straw. The opinion of the questioned persons from the tourist sector is not as uniform: half of them fear a negative impact on tourism, while the other half sees the return of the wolf as a chance for a new tourism niche or is completely neutral. Even the tourists themselves had a word in the study. Close to 400 holidaymakers in South Tyrol from Germany, Italy, Austria and Switzerland were questioned. 60% of them were positive-minded towards the wolf and more than half of them showed interest in extracurricular activities in the wolf areas. The research of the Institute for Regional Development of Eurac Research took place in summer 2018 and is the first scientific contribution to an emotionally heated discussion. What is needed now are educational work and encouragement of the exchange between all interest groups. That and to be open for compromises are the basis for lasting and efficient wildlife management. A wolf that was abandoned and left to die alone by his pack after losing his position as Alpha leader. He dragged his body across many mountains and hills, across mossy lands, lakes and rivers till he met the great spirit of life. He asked the great spirit to give him his strength back and to give him one more chance to regain his position as Alpha, the great spirit told him he must perform a task in order to see if he was able to be the rightful leader of the clan, he must help him retrieve a prize that was dearest to the great spirit. Kai accepted the task and was told to go to the top of the mountain to receive the strength he urged for, and was told to kill the new alpha leader. Kai climbed for three days up the mountain, acquired his strength, and went back to his clan in Woodfalls, to kill the new Alpha leader. 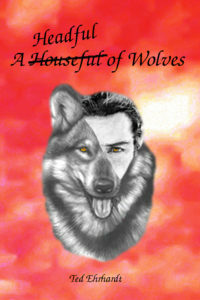 When Kai appeared, the wolves stared at him as if to see a ghost, the new Alpha leader, Kou, looked at him and snarled. He attacked Kai, but was no match for him, Kai dodged to the left and jumped up and landed on Kou and ripped his throat out. The rest of the clan looked at Kai and lowered their heads as Kai traveled back to the Great Spirit. He told the Great Spirit that he has done what was wished, but did not find what the Great Spirit wanted. The Great Spirit smirked and looked at Kai and told him you are the prize that I wanted. Kai was lifted to the air and his body shook and felt as if his body was going to turn inside out. Kai lived, and the Great Spirit saw the element that suited Kai. He told Kai he would now be in control of the wind and was told that only he would be responsible for it. This was such a burden for Kia that he fled. The Great Spirit was angered, so he turned Kai into the wind itself. Kai was then made, and forever will remain as the wind. Gosh, time is running so fast I can hardly believe that’s almost Easter again. It feels like I packed away the Christmas tree just a week ago, hehe. Although we still have good rain (luckily) you can feel winter approaching; the nights are pretty nippy now, but I hope it will stay warm for another good while. With having been sick for so long it feels like summer has been much too short, at least for my taste. In contrast to my opinion the furry pack seems to enjoy the cooler days and especially the cold nights and early mornings with thick fog and high humidity. Ascar II is a real pest in the moment because Taima has taken to flirting with Kajack II quite often. I have no clue why she is so attracted to him lately, but it’s so cute to watch them. She muzzles and licks him and all over his face and then motivates him to play with her in a very love-sick lady-like manner, something Ascar cannot stand to watch. Although Kajack knows that very well and tries to stay out of Ascar’s way, the fact alone that Taima seems to prefer Kajack’s company more than his is something he cannot stand. Poor Kajack can now hardly move two steps without Ascar being hot on his heels, and if he gets too close to Taima Ascar will immediately demonstrate his dominance by mounting him. That has resulted in Ascar spending more time on Kajack’s back than doing anything else all day long. I really wonder where Kajack takes this amazing patience from to deal with that behaviour with almost no aggression at all. From time to time he growls at Ascar or even snaps at him, but most of the time he just throws him off and moves to a space too small for Ascar to follow. Shame, he is such a handsome and strong boy, physically much stronger than Ascar, but he is such a gentle and calm character that he just won’t even think of showing Ascar how strong he really is. Ted often calls him a sheep. No wonder that Taima loves Kajack’s gentle manner more than Ascar’s bold and hyperactive behaviour. When Kajack doesn’t want to play he will just walk off, but Ascar never accepts No for an answer and will not stop to pester him or Taima until he gets things going his way. He also always tries his luck with Ted and me, pushing, moaning and even climbing over us to get what he wants, but it doesn’t work with us and so he fully concentrates on the one pack member who just gives in to him. I think that Taima and Kajack make an awesome couple, but for the peace in the house and Kajack’s sake I hope she will give up earlier or later.